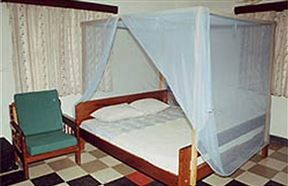 Acacia Hotel Mbarara, Mbarara Best Price Promise! 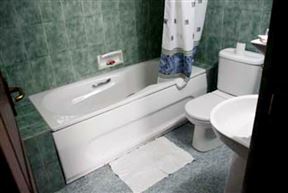 Tooro Royal Cottages, Kyenjojo Best Price Promise! 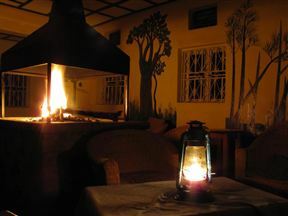 Tooro Royal Cottages is a pioneer eco-friendly hotel located in Kyenjonjo, about 250 km from Kampala. Most of the national parks of Uganda are just a two hours’ drive from here, including the Queen Elizabeth Park and the Rwenzory National Park. 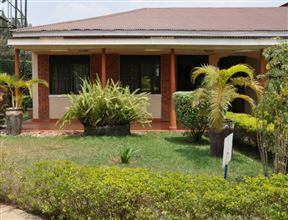 Rwenzori International Hotel is located in the beautiful city of Kasese and is only a 3 minutes&apos; drive from the Kasese airstrip. 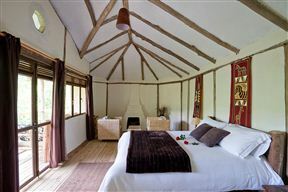 There are 35 cosy rooms available to guests with breakfast included in the rate. 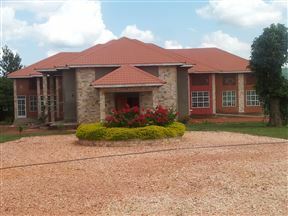 Rushozi Country Home, Mbarara Best Price Promise! 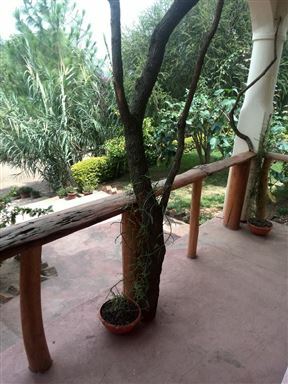 Rushozi country home is a rustic and intimate home set in the bustling hills of Biharwe Mbarara, 23 km from the beautifully surroundings of the Lake Mburo National Park, which affords it some of the most spectacular views. 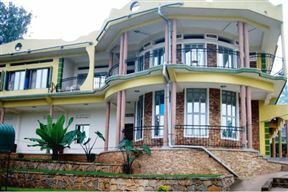 Hotel Margherita is situated a few kilometres west of Kasese Town, western Uganda, in the foothills of the Rwenzori Mountains otherwise known as the Mountains of the Moon. At Hotel Margherita, guests are greeted with courtesy and warm hospitality, making them feel they are really part of the entire Rwenzori experience. Gorilla Safari Lodge is an upmarket facility which is tucked away at the boundary line of the Bwindi Impenetrable Forest. It is home of the endangered mountain gorilla. 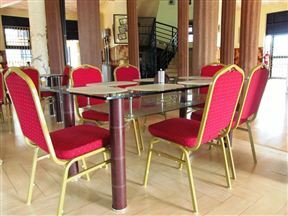 This is the ideal base from which to start your gorilla trekking. Amajambere Iwacu Community Camp, Kisoro Best Price Promise! Amajambere Iwacu Community Camp is located at the entrance to Mgahinga National Park and is only 12 km from the south-western town of Kisoro, near the Rwandan border. At the camp, visitors can enjoy the magnificent views of the famous Virunga Volcanoes and take part in monkey trekking as it is located at the starting point for golden monkey trekking through the National Park. Nestled in rolling hills locally known as the “Switzerland of Africa”, in the Kabale District of south western Uganda, famous for its unrivaled beauty and mountain gorillas.